St John The Evangelist in Stockwell is a listed classical church built in 1841. The church was built as a ‘preaching box’ for 1400 parishioners, and remains as a single volume with part of the original balconies and pews still in place. The congregation is now much reduced, with the church fabric in decay. Mid C20 attempts at conversion for community use are also in dire need of replacement, and now little used. 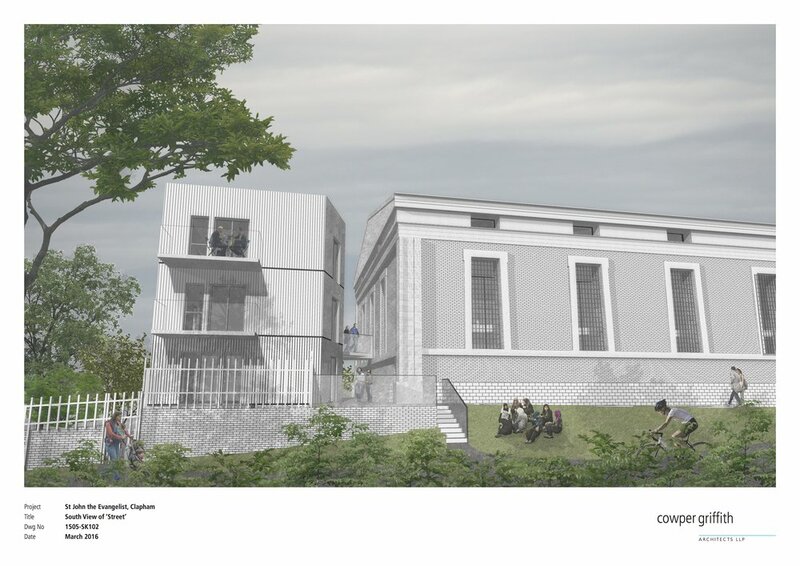 The scheme proposes the conversion of the building into community use and housing. The rear part of the large volume of the church is converted into 9 flats. The original balconies and pews are rebuilt towards the front of the building to form an intimate and appropriate worship space, visually connected to the main street, by re-opening long disused central doors. High earth embankments are removed on two sides to allow the opening up of the under croft. 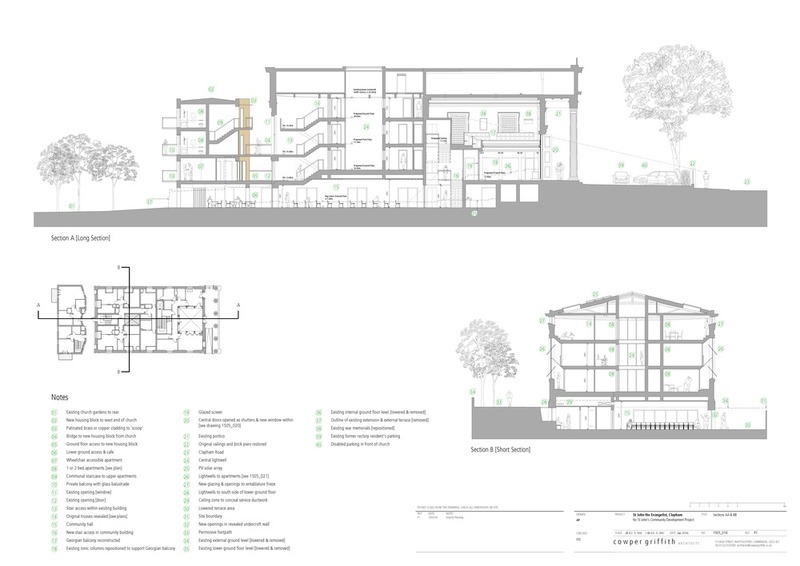 By lowering the floor a new community room and café is formed with direct and level connection to the gardens at the rear. Behind the church, a new block of 6 flats is constructed facing the park, allowing the restoration of the west end façade. The new building is contemporary, and acts as a foil to the classical building, reinterpreting string course and ashlar work in the pattern of hardwood timber cladding. A ‘scoop’ clad in bronze faces the revealed west wall of the church, containing the stair connected by a glass bridge through the central west window. The scheme is currently at planning stage.